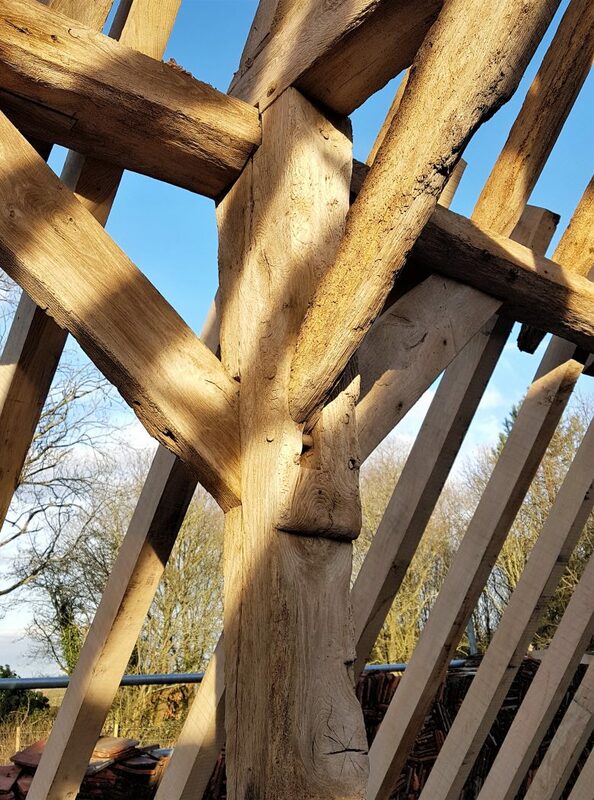 The sight of traditional oak framed buildings and other historic structures in the landscape of Britain often stirs deep emotion in people; it is difficult to imagine our countryside being what it is without the presence of these buildings. Our villages and historic town centres owe much of their character and charm to the presence of these buildings and seem to make an emotional connection within us to something that is part of a typically British landscape and culture. Their value should not therefore be measured in monetary terms alone. 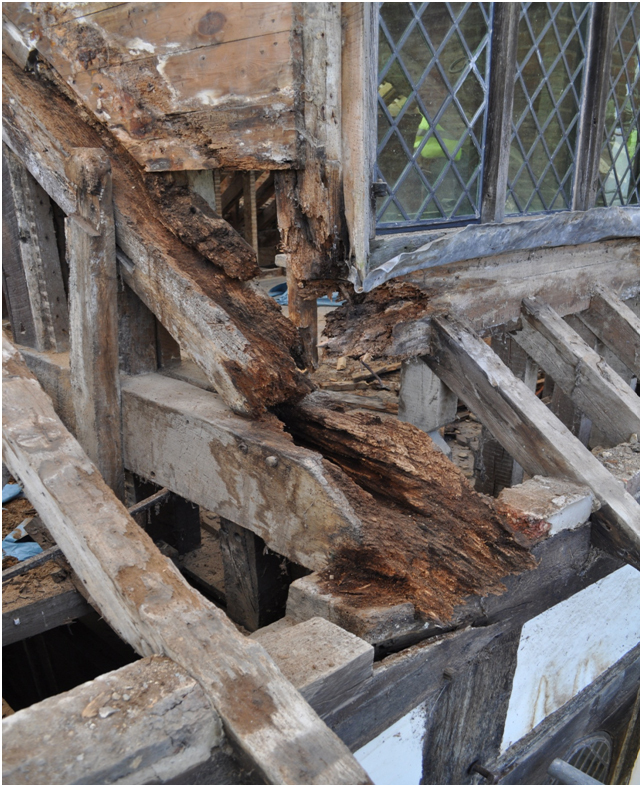 A severely rotten oak tie beam end corner to the dorma, caused by water ingress. Here both wet rot and beetle infestation is evident. Also note that the wall plate has snapped due to lateral forces imposed from the roof load. 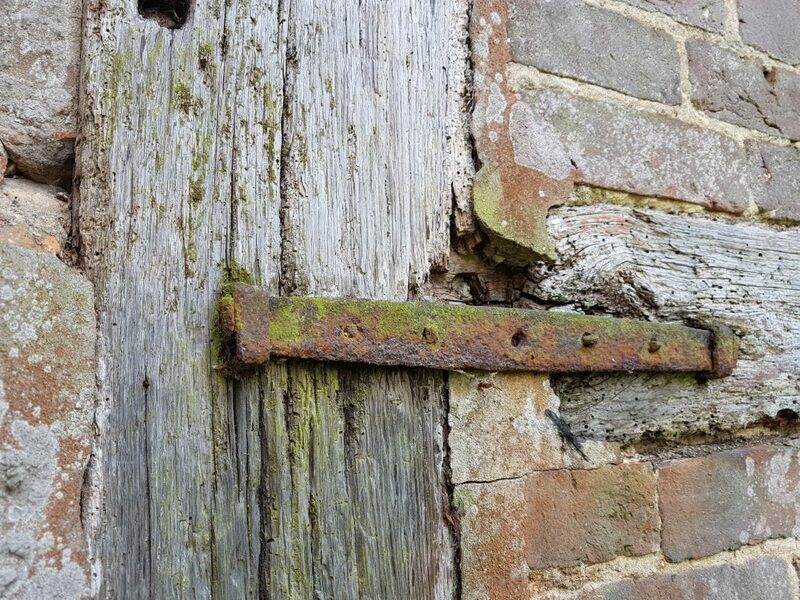 Many owners of historic property have the belief that they are only custodians of the building and therefore have a duty to ensure that is correctly maintained for the next generation to enjoy, as so many have done so before. 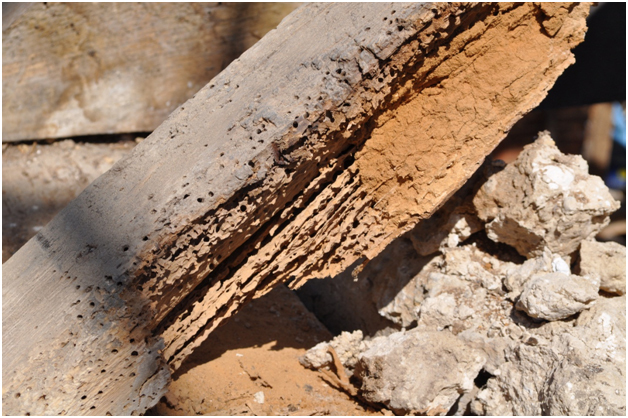 Protect the structure from further decay and degradation. Ensure the building is structurally sound and safe. The repair should be readable to future generations and not confuse future historical interpretation. 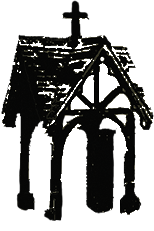 Oakhouse Construction understand these techniques and routinely use them in the conservation and repair of historic structures. Severe beetle infestation in an oak rafter foot, possibly caused by the Death Watch Beetle (Xestobium rufovillosum). 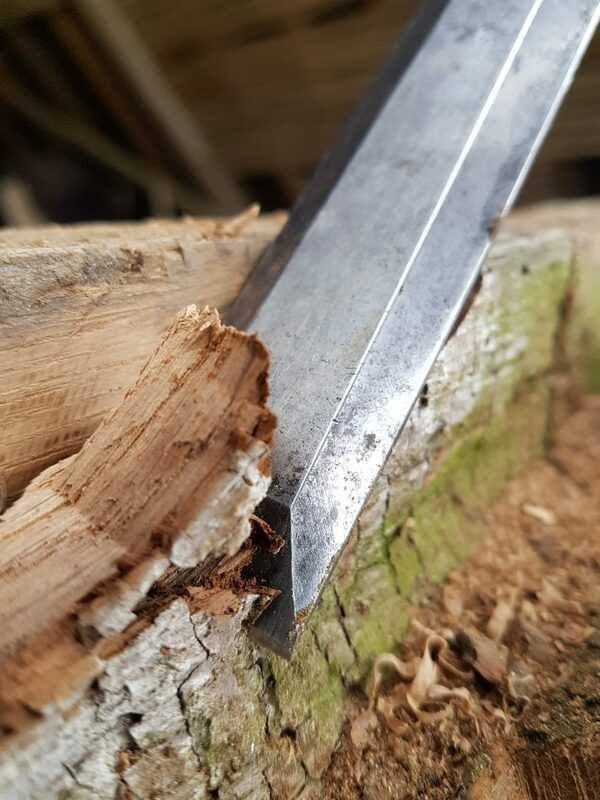 Removing some rotten timber to create a clean accurate recess for the splicing of new oak timber. 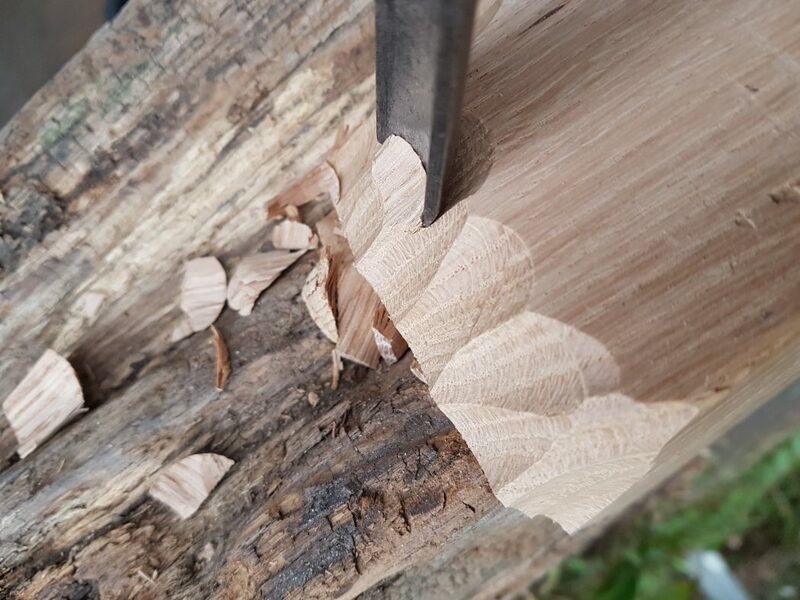 Fitting a replacement oak patch is a common repair, sharp chisels are a must! 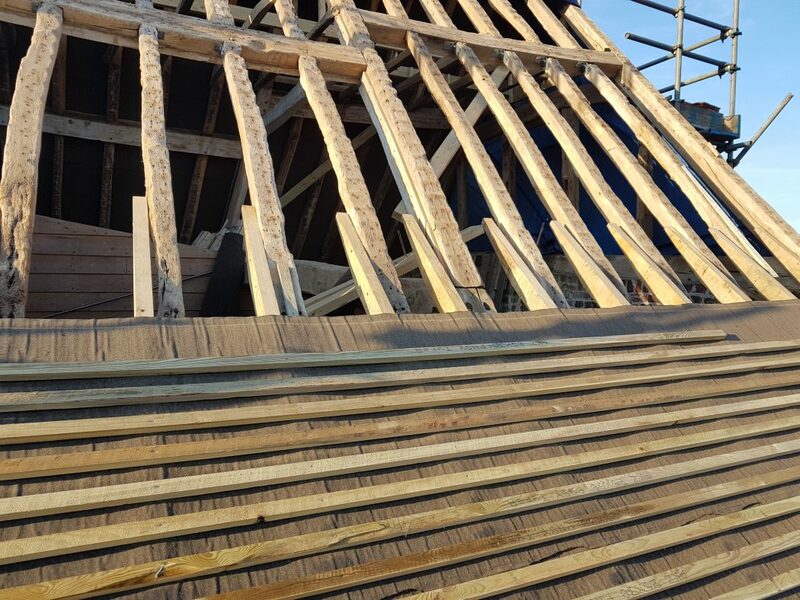 The roof timbers have been cleaned repaired and are now being covered with felt and batten. Note the traditional slaters' felt is being used as this is bat friendly. 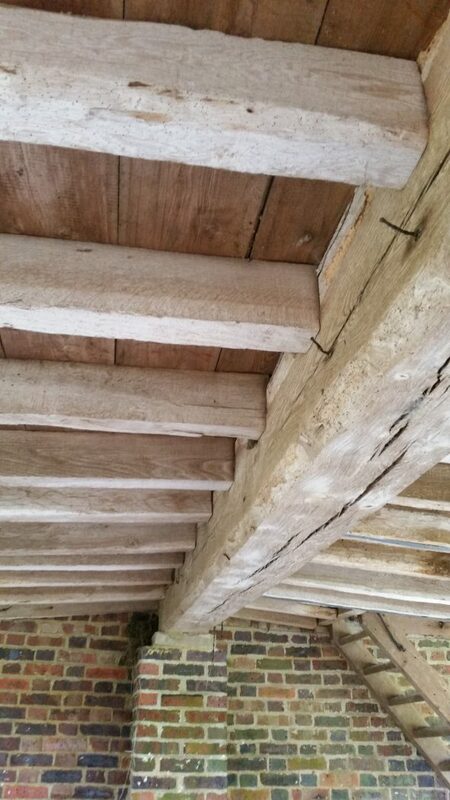 A traditional spine beam and floor joist construction, this time in a small barn, the same method of construction was also used in domestic buildings. 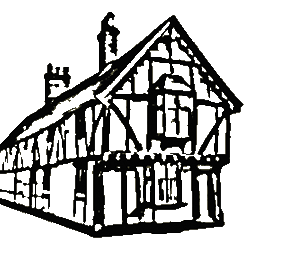 The silver/honey colour is typical of barn timbers that have not been exposed to smoke or suffered the staining or painting of domestic timbers. Here is a very old metal bracket used to strengthen a failed joint. You can see the inappropriate cement used to fill the area around the joint. I see these wonderful old metal brackets and straps on virtually every historic timber framed building I visit; they were blacksmith-made and it's my opinion that most were made from old cart wheel rims. A great example of a jowl post and braces.